Yesterday my grandparents and I went to Kalvin's for lunch! On our last excursion here, they were actually closed, because it was Wednesday haha! So we ended up going to Western Lake for dim sum instead! We weren't sure if we were going to get a table this time, being that it was saturday but our party of 3 managed to get seated without having to wait! My grandparents have been to Kalvin's multiple times with their friends but it was my first time going! They have a 96% rating on Urbanspoon and a 4 star rating on yelp, which is pretty impressive! 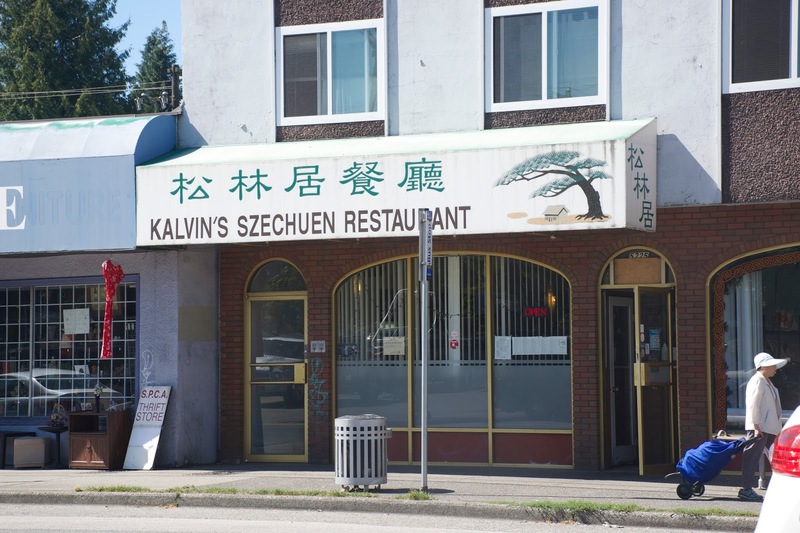 Kalvin's is a Taiwanese - Szechuan restaurant famous among the chinese community for their take on classic taiwanese dishes like red fermented pork, pork skirt meat and san bei chicken! 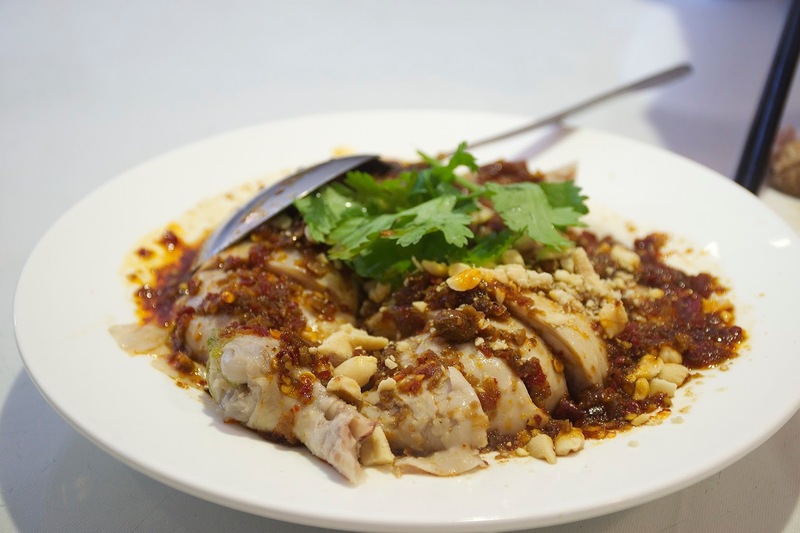 They also have a large selection of spicy szechuan dishes. They even have dim sum items like XLB and dumplings. You can also buy their dim sum frozen if you ask. Kalvin's has surprisingly good service. The waitresses were really polite and fetched us extra glasses of water without hesitation. Near the end of the meal they came around to change our plates, which was too late then, because we were already done eating haha. This place is tiny! They really should consider expanding because their restaurant capacity just isn't enough to serve the volume of customers they receive! The restaurant only has about 8 tables, all within very close proximity of one another so space is tight. Our total for 4 dishes + a container of rice came to $41.50! If you're in a group of 4 people ordering 4 dishes should suffice, which would only cost about $10 per person! They also have lunch combos that come with rice + a main dish for $7-8! Kalvin's is definitely offers great value for the money. The food is delicious, the prices are fair, and the portion sizes are generous, which makes for a winning combination! We enjoyed every one of the dishes we tried and left really satisfied! This was a great interpretation of red fermented pork! We all really enjoyed this dish, even my grandpa, who hates fried food! It wasn't as red as other versions I've tried, the red colour was only apparent on the inside lining of the pork. This was in the appetizer section of their menu but we all agreed it could have been considered an main dish because the portion size was quite large! The pieces were stacked on top of each other and there was a ton underneath. 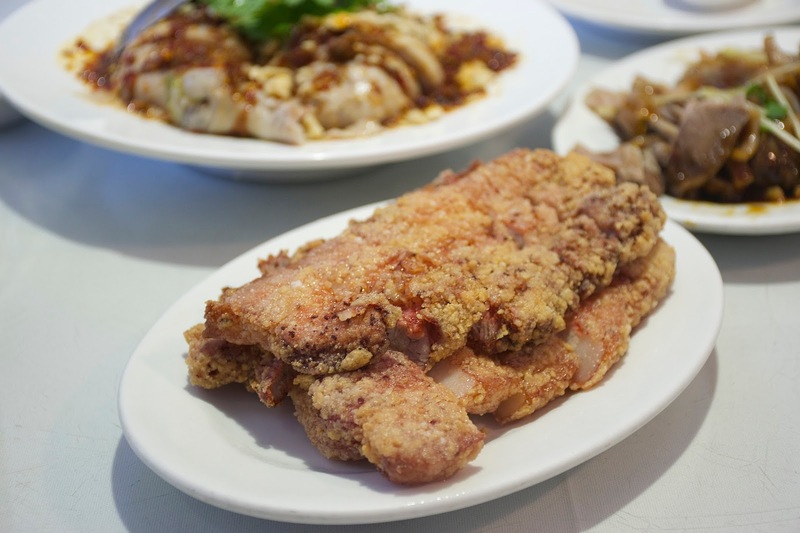 The exterior was fried perfectly: crispy, crunchy, without being overly oily. It had just the right amount of fat, not too much as to be overbearing, but just enough to give it that chewy texture. The seasoning was spot on, exhibiting just the right amount of spices. I really enjoyed the textures of this dish, the crispness of the soybean really accentuated the softness of the halibut. There were two large pieces of halibut underneath. The halibut wasn't seasoned and relied on the soy bean crisp for flavour. The soybean was well flavoured without being overly salty. You can also get this dish in the squid version or with other types of fish. This is another one of their popular dishes! The table beside us tried to order it but it was already sold out by 1 pm! For an "appy" this was huge! I ended up eating half of the dish by myself hehe because my grandparents couldn't finish it. They ask you how spicy you want it and we got "xiao,xiao,xiao,xiao" which means "little,little,little,little" haha because my grandpa can't eat spicy things! Does this look like "little" spicy to you? We were pretty sure that they got our order wrong because this was more along the lines of medium spicy. Or they just pre mix the sauce and adjust the chilli according to how you order it.My grandpa had to get a separate bowl to wash off the chilli oil. We all agreed that the chilli oil sauce was delicious! It was 3 dimensional, it starts off on a sour note, with hints of sesame oil, and ends off with a spiciness in that hits you in the back of your throat. Pork Skirt Meat is a classic Taiwanese dish. My grandma ate this all the time in Taiwan! The skirt is a thin strip of meat that runs along the membrane line on the back (or bone) side of the ribs. This dish was drizzled with a thick hoisin sauce which made it really salty haha. The meat was actually quite lean. It was also garnished with some ginger shreds, which gave the dish an extra layer of flavour. Kalvin's might *possibly* receive the coveted title of one of my favourite Taiwanese restaurants in the GVR! All of the dishes were really solid and well executed. I'll definitely be back! Haven't been to Kalvin's in ages, thanks for putting them back on the radar (at least for me). I've always wanted to try their hot pots. Yes they are definitely one of the best Taiwanese restos in Vancouver. What are others that you think are Taiwanese and are good ? I agree! Kalvin's is defs one of the best Taiwanese restaurants in Vancouver! Hmm, hard to say, I haven't been particularly impressed by any of the Taiwanese food I've tried here! Maybe because I'm Taiwanese so I have higher expectations haha. In recent memory the only one I've really enjoyed was Dinesty, another Taiwanese/Shanghainese place in Richmond that I'm sure you've heard of. 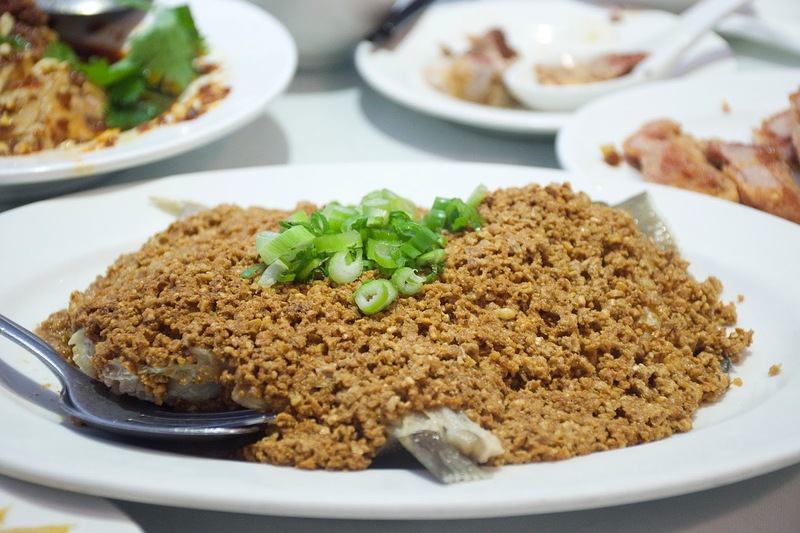 All the Taiwanese places I've visited the past year: Uncle Lu's, Chef Hung's, Pearl House, Pearl Castle, Bubble 88, Lao Shang Dong, Ali Shan, Yougo Chicken, the RNM, all had subpar food. Doesn't really compare to the "real" thing back home! I like Lao Shang Dong, The One (LSD's 2nd location) and Pearl Castle. Didn't have a good first impression of Ali Shan but that was three years ago. Never been to the other ones you mentioned, but sounds like maybe I'm not missing much there. Dinesty ..... one of the best, been going for years. 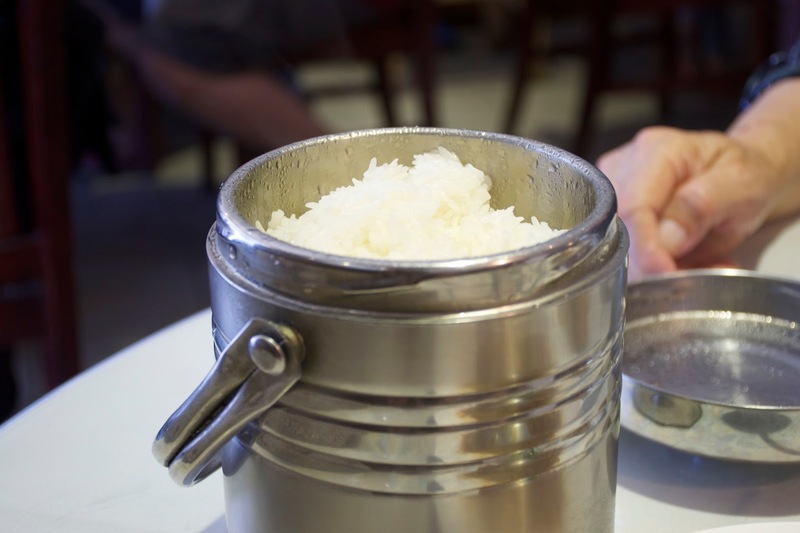 Especially for their XLBs, sesame 'shaobing', cruellers and all other carb-rich items ! ChineseBites is the only site I know of where you can look up specific regional genres of Chinese cuisine. 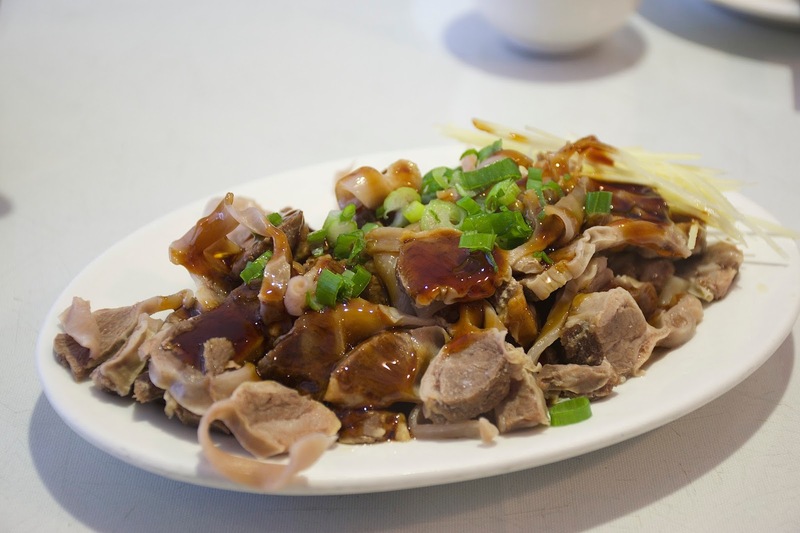 And they're also the most comprehensive listing of ALL Chinese restos in Greater Vancouver, period ! Yes, I love their XLB! One of my favs in the GVR! I love shaobing, I'll have to try that next time! Oh how I miss shaobing w/ chinese donut breakfasts! Do you know any good places other than Dinesty for shaobing? The only place I've tried in Vancouver was this stall in Pacific Plaza haha, Yung Ho Soy Milk. It was decent, but nothing particularly notable. I think you and your family will like The Place. Not pretentious, homey ambiance (interpret that as you will ......), consistent quality and excellent value. Their XLBs are quite good too, hand-made behind the counter between customers.